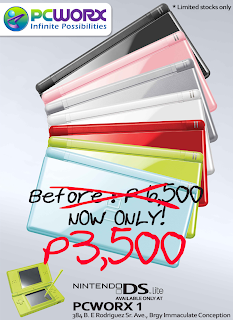 Home Gadget Reviews Nintendo DS Lite at PCWORX sale for P3,500! 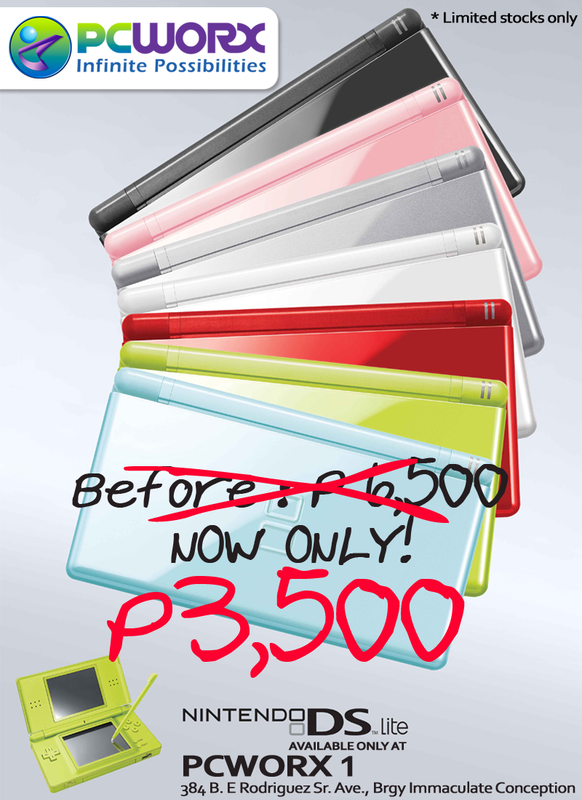 Nintendo DS Lite at PCWORX sale for P3,500! By the way here are the specs details. I haven’t tried the gadget yet but I have added a short review from CNet. The bad: Playing online games via Wi-Fi can be a hassle. The darker models are just as susceptible to scratches and smudges as the Sony PSP and the iPod, and its multimedia potential remains exclusive to Japan. The bottom line: With a slick new design, brighter screens, and a growing library of fun and innovative games, the Nintendo DS Lite is an impressive improvement over the original DS.